A little while back I bought the Clinique Clarifying lotion to help fight against any breakouts and spots. At £16.50, I can tell you that this has been an amazing recommendation to me, and I am really happy to have it in my daily routine. 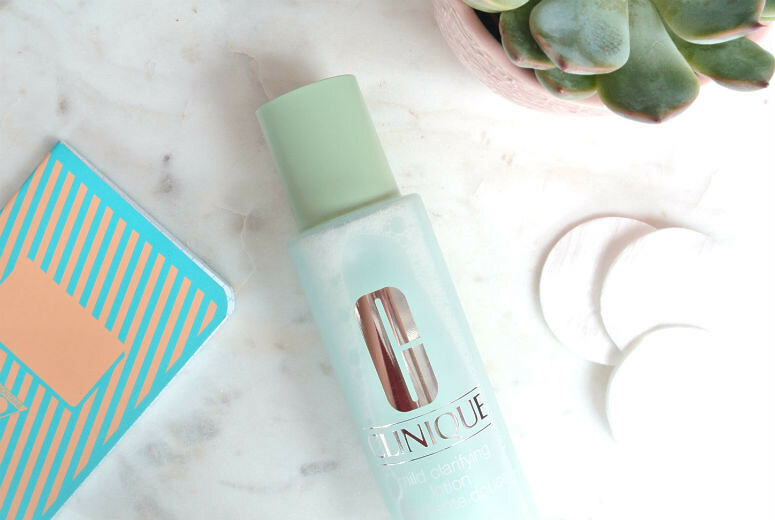 Although it is very simple in that it feels a bit like wiping water on my face, the 0.5% salicylic acid that's a key ingredient gets to work battling any nasties that might be trying to pop up to wreak havoc on my skin. Also, with its pH set to 2.9, it really works as an exfoliating acid for the skin. This apparently means it's one of the stronger acids out on the market. The Mild version is alcohol-free, so is not drying in the least. I've tried the 3-step plan with the normal lotion and had a horrible time with that routine, but this one has been amazing. I haven't had any tingling from it whatsoever, it feels that gentle, and trust me, if my skin were not happy with me using it, I'd definitely know by now. To top it all off, it's only £16.50. £16.50! Even cheaper than my beloved Pixi Glow Tonic! A definite keeper for my routine! This comes highly recommended to people who don't like using glycolic acid or are looking for something that feels incredibly gentle with great results for the skin. Has anyone else given this product a go?